Near the Tawases, the Highbanks Trail is one of the most scenic trail routes in the Midwest. 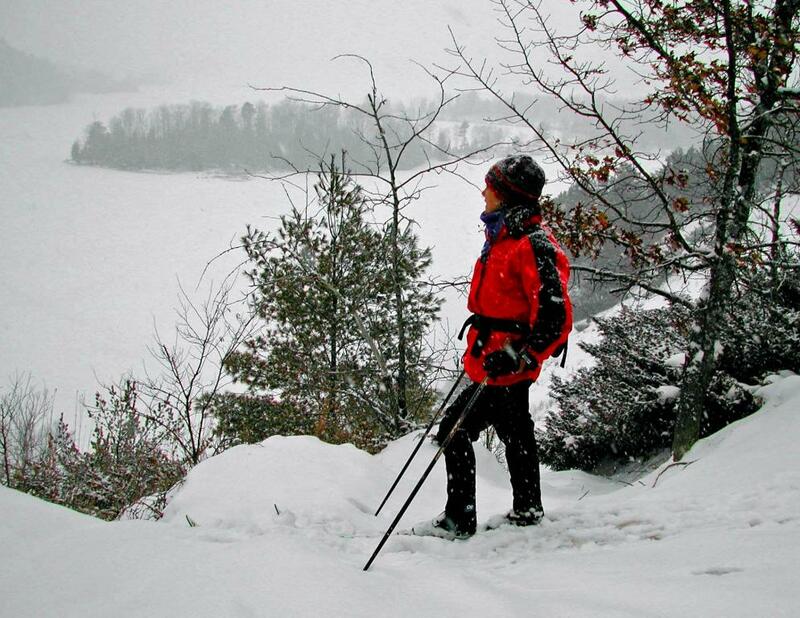 Backcountry ski touring and snowshoeing is very enjoyable here because of the exceptional natural beauty of the Highbanks setting. The ungroomed trail follows a high bluff overlooking the historic AuSable River Valley, and the views are unparalleled. From such sacramental spots as Largo Springs or Lumberman’s Monument, you can see clear across Michigan’s most famous river valley and watch snow storms advancing 20 miles away. Points of interest: Largo Springs Interpretive, Canoer’s Memorial, Lumberman’s Monument, Lumberman's Monument Visitor Center, Sid Town and Sawmill Point.